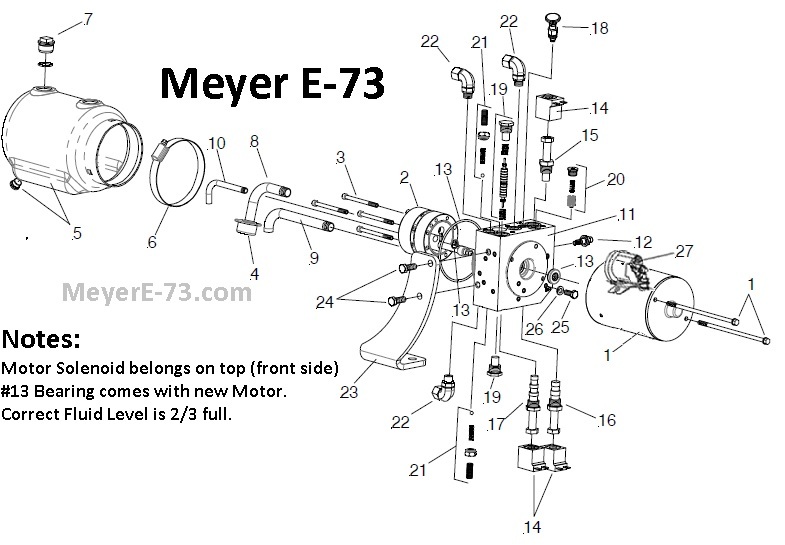 Meyer E-73.com - Meyer E-73 Hydraulic Unit information. Here is a look at the SOS with E-73. The E-73 is hiding behind the cover. 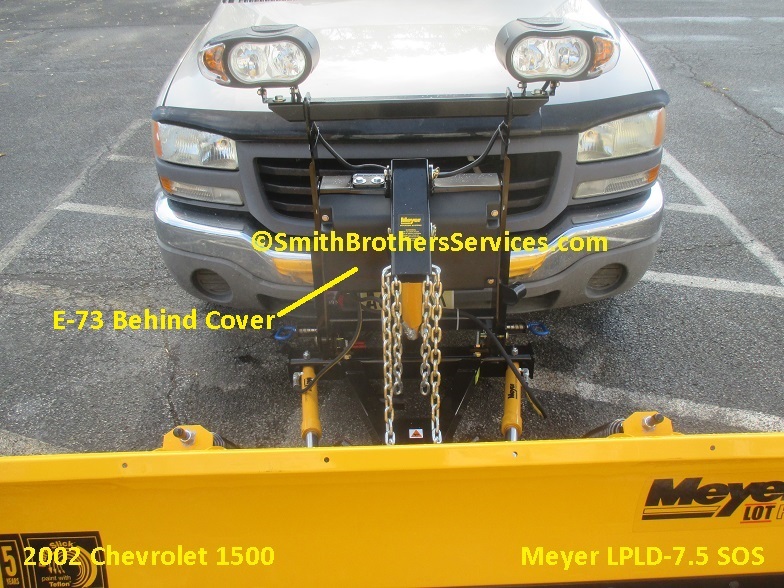 There is a pin holding the Lift Arm on that must be removed, and then the Lift Arm / Lift Cylinder is leaned forward. 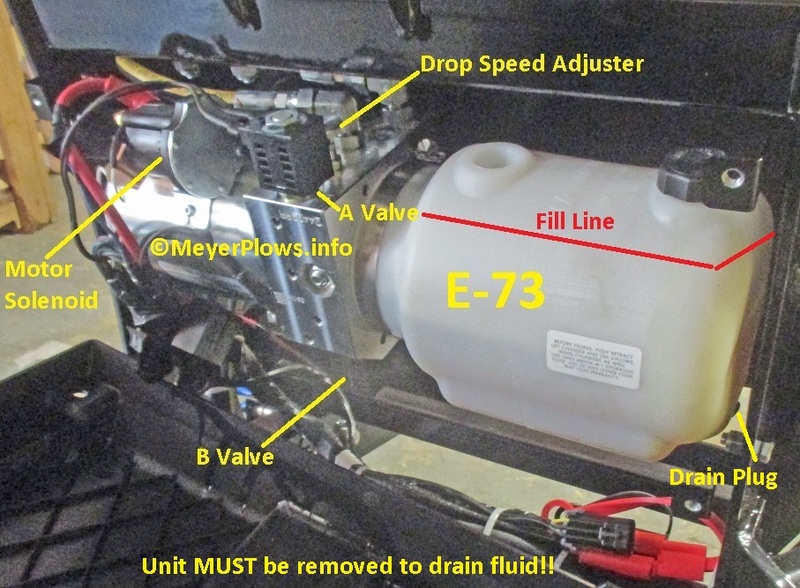 Then you can take out the 4 bolts to remove the cover and access the E-73. 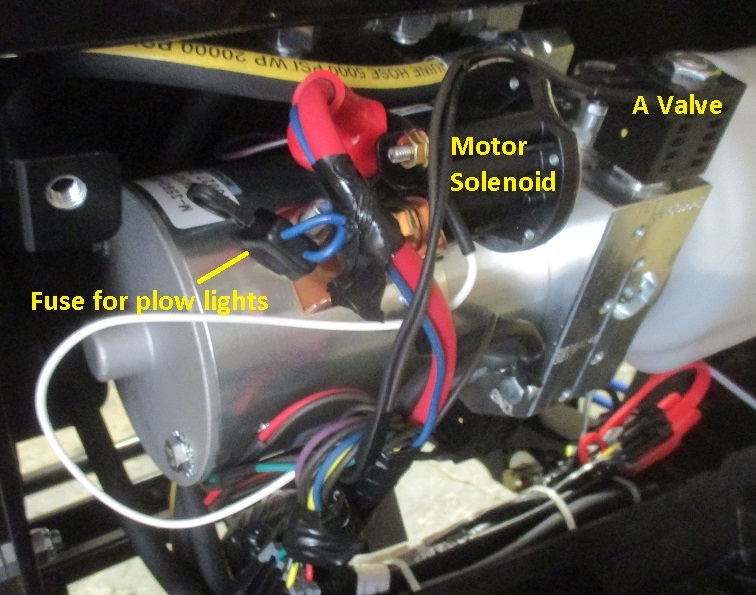 Early units have the Motor Solenoid on the bottom, which is NOT correct and should be corrected ASAP because the Motor is filling with water. 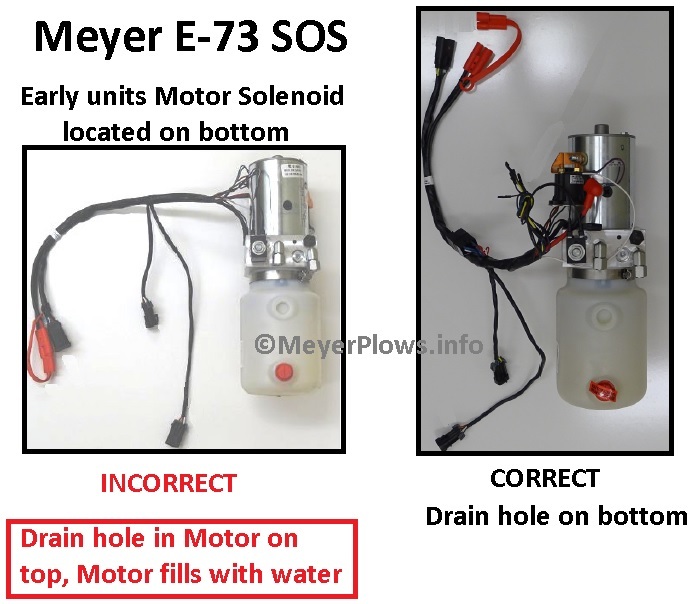 A look at the SOS with E-73, the front cover removed to access E-73. 3 15063 4 • Allen Head Screw 1/4-20 x 3"
4 15101 1 • Pump Filter Assy. 8 ----- 1 • Oil Pick up Tube 5-3/4"
9 ----- 1 • Oil Return Tube 8"
10 ----- 1 • Oil Return Tube 8"
224 20049 1 • Bolt H 3/8-16 x 1"
25 20025 2 • Bolt H 5/16-18 x 3/4"
•Parts indented are included in assembly under which they are indented.